As oilfield engineering enjoys a resurgence of interest and investment, companies continue to look to advancements in technology to both reduce costs, and improve the safety of offshore drilling operations. 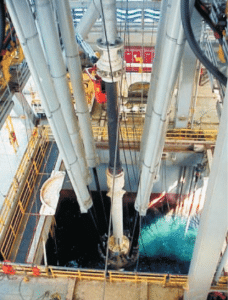 In particular, active heave compensation systems use advanced hydraulic cylinders and accumulators to achieve a system that reduces the relative motion of the drill pipe and the seabed, improving both efficiency and safety. In the area of active heave compensation systems, CPI’s unique subsea position sensor is seeing deployment into these applications due to its unique versatility and durability. Specifically, manufacturers and system integrators specifying hydraulic cylinders and accumulators for active heave compensation, are finding that our ATEX and IEC-EX certified sensors are perfect for both subsea, and surface use, both inside and external to the hydraulics. Position Sensing in Heave Compensation Hydraulics is Absolutely Critical. Oilfield Applications which use the CPI advanced draw wire sensor include many different types of heave compensation systems. For most of these, the CPI SL-2000 Safety Rated Linear Position Sensor, is both a versatile, and a durable solution. Riser & Tensioner Systems – Centered around the moon-pool of a rig you’ll find one type of riser-tensioner system hard at work, keeping the movement of the ocean from placing undue pressure on the well head of an active rig. Our SL-2000 is a perfect Linear Position Sensor for the Hydraulic accumulators used in this applications because it is ATEX rated, is 100% waterproof, and can be mounted either internally, or external to an existing hydraulic cylinder. Riser Disconnect Sensing and Control – Related to the above use is the CPI Sensor’s ability to provide critical feedback during a disconnect scenario. A riser disconnect scenario detected by the CPI linear position sensor will cause the valve to limit the oil-flow and the riser will not gain momentum. During disconnect the control system controls the position of the valves and the riser is brought up in a controlled way again using input from our sensors. Subsea Mud Pump – A recent application for our sensor has it deployed 6000 meters below the sea, operating in a hydraulic accumulator, fully submerged in seawater. Our core sensor has no internal pressure vessels and advanced materials engineering prevents the normal corrosive and binding effects of seawater. Even fully submerged in seawater, our sensor is rated for over 1 million cycles. 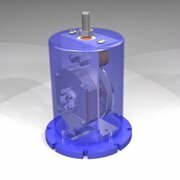 Our solution to harsh duty hydraulic cylinder position detection is unique in the world, and is often the only practical solution to harsh environments, and long stroke cylinder applications. Here are a few of the characteristics of our robust sensor design. 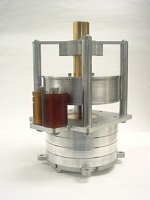 Non-Contacting Transducer Technology– Our sensor technology employs a unique linear-to-rotary-to-linear measurement system which allows a short rod magnetostrictive sensor to generate absolute position signals accurate to 1mm over a 3 meter stroke length. We support Standard signal conditioning outputs such as CAN Bus, Analog, and Digital. Our normal operating temperature range is from -40 F to 250F. 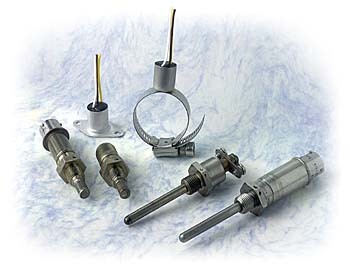 Our sensors can be deployed on the oil or the gas side of an accumulator with no need for a dynamic seal on the piston or core drilling the piston rod. Our standard sensors can be submerged in water, gray water, sea water, process fluids and other corrosive fluids. Deep submersion units like our SL2000 are also available for subsea applications. CPI sensors are the only linear position sensors suitable for telescoping hydraulic cylinders in harsh or subsea environments.